The leading of the different activities of IMPaC Offshore engineering GmbH rests on many shoulders. Managing Director is Dr. Engel van Spronsen and he is supported by an experienced management team. Dr. Engel van Spronsen studied physics and was research staff at Leiden University (Netherlands). He joined Shell in 1975 and held several technical and managerial positions. Thereafter, he was among others Project Manager with a Dutch utility firm, Advisor of the CEO and COO in Maersk Oil and General Manager of International Consultancy and Management Services B.V. (Netherlands). He joined IMPaC in July 2017. Born in Basel, Switzerland Stephan Walther-Longrée holds the position of the Finance Director of IMPaC Offshore Engineering GmbH. 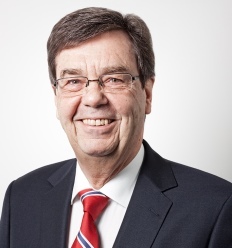 After his admission to the Bar, Stephan Walther-Longrée has worked for the STG-Coopers & Lybrand AG and Schweizerische Treuhandgesellschaft (STG) in Zurich from 1993 – 2003 before he joined the IMPaC Group in 2004. Joachim Berger, technical advisor at IMPaC, studied structural and coastal engineering at the Technical University in Hannover. In 1983 he established the company IMPaC as one of the two founders. Since that time he was responsible for numerous offshore projects carried out for the international oil & gas industry and for the wind industry. In 2013 he sold his shares to the co-founder of IMPaC. Heinrich Winter graduated from the University of Hanover as a Mechanical Engineer in 1993. After having worked for a number of years as Project Engineer and subsequently Project Manager in the on- and offshore construction industry, Mr. Winter joined IMPaC Offshore Engineering in 2001, where he currently holds the position Head of Project Management. Building on a wealth of experience gained through project assignments worldwide Mr. Winter also takes specific responsibility, as Senior Project Manager, for large infrastructure projects with special focus on oil and gas pipeline projects, both on and offshore, as well as subsea cable and offshore wind projects. Dr.-Ing. Joachim von Schnitzler is Project Manager and Head of Project Management at IMPaC. He studied Process Engineering at the Technical University of Hamburg-Harburg and the University of California at Berkeley. Dr. von Schnitzler joined IMPaC in 2011. Since that time he led several national and international Oil&Gas projects as Project Manager, mainly in the area of Oil&Gas field development projects, gas storage facilities and Authority Engineering. Since 2015 he is also in charge of the Business Development Oil&Gas Europe. Dr.-Ing. Sven Hoog is Project Manager and ‘Head of Innovation’ at IMPaC. He studied Naval Architecture and Ocean Engineering and prepared his doctoral thesis at the Technical University of Berlin. Dr. Hoog joined IMPaC in 2004. His fields of work cover a wide range of technology comprising LNG transfer systems, subsea control architectures, underwater vehicles, and Ice technology. Since 2013 he is also private Lecturer at the Technical University Hamburg-Harburg (course ‘Introduction to Maritime Technology’). Ahmad Sikander, Head of the Department „Process/Piping/Mechanical/Electrical/Instrumentation“ at IMPaC, studied Electrical Engineering at the Technical University in Hamburg. He joined the company in 2006 as a project engineer. Since that time he was responsible as discipline lead engineer for numerous onshore / offshore projects carried out for the international oil & gas industry.